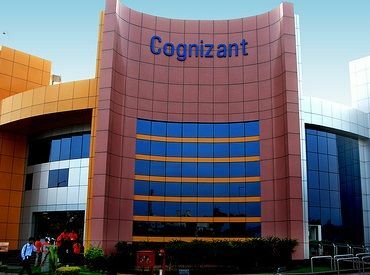 Economic Times reports that Cognizant (CTS) is planning to layoff senior level employees in this year. “This one is really targeted towards the senior end of the pyramid. It is not voluntary, this is more involuntary. We are trying to cleanup the higher end of the pyramid and allow our associates to grow ” Raj Mehta, President at Cognizant, told ET in an interview. He did not disclose the number of employees targeted. Later company spokesperson told ET that the number of senior job cuts will be under 200. However the number 200 is not verified and our guess is it could be more. In 2016 & 2017 also CTS retrenched lot of employees , who were not even covered under VSP (Volunteer Separation Scheme) . A senior level employee called our union and talked about the happenings in CTS. The employee whom we spoke is having fairly long years of experience in information technology . He is taking care of delivery ownerships as part of his job and the nature of his job is skilled and technical. He is not part of decision making in the company, has no power to recruit or terminate employees, no power to sign cheques on behalf of the company. But the company is using his experience as a loop hole and try to meet the layoff target. They remove the senior employees from the billable role/project/existing role in the company and try to show their role as redundant. The plan here is “if we humiliate employee by disrespecting them, they will abide by the termination plan and leave the company on their own”. Many of the senior employees fall prey to this and don’t want to fight the management. This is a major drawback in IT Industry while in blue collar industry even a junior level employee fights for their right. With high education, global exposure and sound experience many of the IT employees are not ready to take up the fight and surrender to management tactics. This gives the perception that management is taking a chance of terminating by finding loop holes in the legal system that senior employees are not covered under Industrial Dispute Act. But definitely legal system has not given provision to any company to find loop holes and do illegal termination. If more senior employees take the challenge in the court and if judgments start coming in favor of employees, then automatically companies will stop finding loopholes. NDLF is guiding many senior employees to take legal challenges against illegal retrenchments. In the last 1 year, we have many senior employees who has given retrenchment letter has filed 2A petition and then approached labor department for their justice. There are more than a dozen legal dispute filed in various courts in Bangalore, Chennai, Hyderabad and Pune locations. As per Raj Mehta, he wants to clean the top level of the pyramid. You cannot insult senior CTS employees anything more than this. If they are deadwoods, how CTS run the company with these employees for several years. His speech portrays the corporate mentality of treating employees as non living assets like computer, air-conditioners etc and can be weeded out as they grow old. If company has to retrench people, they can do retrenchment only in last in first out basis. If they are targeting senior employees, land of law is flying in air here. Does Indian government agree senior employees to be retrenched by companies like this without following land of law? Is Land of law not applicable for big corporates like CTS? If company can terminate as per their wish by claiming senior employees as waste to be cleaned, then what is the purpose of having various retrenchment laws? All information technology companies got cheaper land, tax benefits, uninterrupted water and power only for the reason they promote employment in India. If these companies get all the benefits and not abide with law, what is the government’s take on this? Why companies are not taking mutual consent options like voluntary retirement scheme instead of sending employee tagging them as waste to the company? We request CTS management to stop this illegal retrenchment. We request them to treat employees with self respect and take action against people like Raj Mehta for talking against employees. We also request Indian Government and courts to interfere in this matter and save employees rights. To hell with this article. Does the so called senior cognizant employee know how many hours the lower level people are putting at work due to the worst decisions they take? To add more the senior level employees do not want to take home lower increments. They pocket a share of the profits too while all that they are doing in reality is just setting up meetings with customer, blabber some non-sense and commit the sky. And then come back to the team and jump around as if they would be able to deliver in a snap. That’s how they have grown … Everyone at the top layer have to blabber, set strategy and oversee execution… CTS or anyother company for that sake cannot deny basic right of respect .. upskilling, role movement, more dialogue, 360 degree feedback can be few of things that can help. Everyone grow old lady, every one retire does this mean every one should be treated like this? Management tactics is they separate and rule. If you read my article on how layoff happens with my comparision on Auschwitz extermination camps, you understand better. Senior managers and HRs are people who executed lower people based on their commands (Sommerkamandos). It does not mean SommerKamandos are Nazi German. They are also salaried employee of the company. If every IT employee understand this, we can escape from layoff threat. Terminating is illegal even junior or senior if legal procedures are not follow. Junior people cursing seniors in this time is again victory of corporates as their agenda of divide and rule is getting success. Let us be very clear that a CAREER is an outcome of accumulating good skills, competencies and then performing to best of ability. It further includes the ability to continuously up-skill, re-skill and keep oneself “EMPLOYABLE” to the market conditions. Additionally, the further we are into the career, we have to master the COMMUNICATION and INTERPERSONAL skills. We cannot claim excuses with these vital competencies. If someone gets promoted and if you are left out, then stop brewing about bias and calling out fowl with manager, organization , system etc… Venting on social media is no help !. Just sit back and figure out what skills the former had over and above yours. We all get a JOB, and it is up to us to make that into a CAREER ! Now, irrespective of years of experience, all of them from new joiners to very senior long term seasoned professionals in employment need to understand that “A Job” is a contractual relationship between the ORGANIZATION and INDIVIDUAL. This contract is only as good as the mutual benefit either parties ensure between them. In other words, if the organization does not provide sufficient benefit in terms of remunerations or opportunities the employee is free to terminate the contract. Similarly, If the employee is not helping with the objectives of the organization and not performing per the needs, then the organization has equal rights to terminate the contract. Expecting sentiments in this relationship is just unjustified. If a resource can quit at will and take up new opportunities for personal benefits, not worrying about the impact to the project or overall business, why is that organization are questioned if there is a retrenchment exercise? Days have gone, where organization had far sight stability and thus passed on some long term career security to the workforce. In the new world business has no clue of their future, large companies like Motorola, Nokia, Lucent, Nortel have vanished… Hence, it is illogical for anyone to expect permanent employment from them. My 2 cents to all the youngsters and the old guards, If you have not been able ensure your EMPLOYABLE – This means, if you have not kept abreast with the changes in industry , not adapting to the new technologies, not continuously learning, not mastering your communication and interpersonal skills, THEN YOUR JOB IS NOT GUARANTEED FOR YOU. Your assumptions and queries shows your absence of knowledge in legal terms. Please read this book and you can order this book online at https://www.commonfolks.in/books/d/it-employees-life-fun-or-problems. The cost of book is Rs 60. Please read this book and it gives you identify yourself that all your perception is wrong. 1. These so called senior employees only contributed , in whatever way, to make this company a 16+ billion US$ company. 2. They also someway contributed for the profit and further growth ,so that juniors get employment. 3. The investors earn more. 4. These seniors during their journey continuously re-skilled themselves to handle the newer technology along with juniors too for last 10-25 years. Now When Mr. Mehta making a statement that ” these top end of the pyramid needs to be thrown out ” and that too proudly making statement in one of India’s very popular news paper, it has really shocking that what is the parameter being used for this. and the impact of it. 1. If company is not doing good , he is also equally responsible as he is sitting at the top most end of the pyramid. The results of CTS and future guidance does not show that for sure. 2. If skilling is an issue, what is re-skilling plan he has for them and let him announce that along with some measurable guidance in the same news paper with proof. 3. With this statement , he is also ensuring that no other employers will recruit this so called senior people as they are declared by their existing company as deadwood or making no contribution. 4. Also if you do a Google search, you will find scandals about CTS on some Chennai land/building acquisition issue , Income tax evasion etc etc. Today’s junior will also become senior tomorrow, And for a better tomorrow let us fight together not for so called life time engagement/in competency ( I see this terms used ) but for better employment environment and working with respect and re-skilling plan provided by employer. When all of our government is talking about more and more employment options , at that time this type of unemployment without reason is just not acceptable. I plead our respected IT ministers in state and Central to look into this and we must tweet to their office. Firstly, do not accept this so called voluntary agreement. Secondly, even if you have accepted the agreement given that this was done under duress, you can still challenge this. Thirdly, at least in my case they have not justified as to why they have chosen my name. There have been zero issues raised by anyone till date about what I do. Also remember that if rumours are to be believed there will multiple rounds of the same. To save their skins the seniors might just act sweet with you and then backstab you. Trust no one. Fourthly, get ready for a legal challenge. Find out a few of the other folks to whom this has been presented to and take CTS to court. Perhaps new-democrats can help here. For terminating any relationship, a cause has to be provided. And given that the company is way larger than an individual there is more burden on company. This is the case in every country. To answer Ramesh – you can absolutely terminate an employment relationship but remember you have something called “exit process” wherein discovery of cause is made. What do most guys say – better opportunity or had issues with project. The same can be done by companies too and they can terminate. They do not terminate and chose to force individuals to resign because they know that the grounds on which they seek to terminate are very shaky. Therefore the first point I made. Respected Sir, I am an junior CTS employee. On the average we have got 4-5% increase in our yearly increment. Was quite upset and searching the net that is there any forum to express us. So suddenly discovered this site and was going through it. After going through the posts understood seniors of ours are under immense pain and agony as this involuntary separation is not only a loss of job but the uncertainty and the mental pressure on the family , which cannot be quantified by money. We had heard about it in office , but now finding that this all are absolute truth. Also found out on 14th June-18 ET, that Mr. Mehta of CTS for some reason got additional 1.3Mil US$ cash bonus and some 9Mil US$ of restricted stock as his payout reward. Not sure what great contribution he made to Cognizant, the immediate effect of which is our very low pay hike and involuntary separation of mid/senior employees. Are we all paying for this additional payout? Do you all and we deserve this ? Is our government and NASCOM are aware of that? So many to ask and I know CTS does not care. I came out of the meeting shocked and completely broken. Till today, I am wondering who is responsible for this situation? — for trusting Cognizant who came into existence, and nurtured thereafter on such opportunist culture. 20 years back, they hired us to replace expensive workers in US and Europe. Today we are being replaced by even cheaper young graduates in India . As you sow, so shall you reap is a golden truth. — for never realizing that Cognizant who manipulates international laws to misuse non-working visas and making its employee to work at client locations, would never hesitate to manipulate labor law and sack old horses in the name of automation, up-skilling challenges, redundant profiles etc. I have given the best part of my lives, the heart and the soul to Cognizant. I have worked average 12 hours a day risking my health. In return I don’t expect such treatment at this stage of my life. With evidences, I will fight my case till end of my life. Sorry to hear your situation. But that is probably most of our story – sometime in our career. But when did it happen? in 2017 or are they doing it now? I guess you are in India. It is started in 2016 mid and day by day it gathering speed.